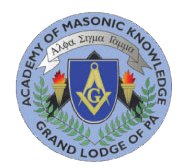 Learn more about our Master Masonic Scholar Certification program! Missed a meeting? Watch previous presentations here!